The JPEG image format is inherently lossy. Because of this, each edit and subsequent recompression of JPEG photos in general purpose image editors, such as Adobe Photoshop, results in a progressive degradation of image quality. Fortunately there is, in most cases, a way to avoid this unnecessary recompression. If all you need is to quickly process a group of JPEG photos from your latest vacation - rotate, crop, remove red-eye, correct color and brightness, imprint date or comment - you do not need to compromise on quality of photo editing. 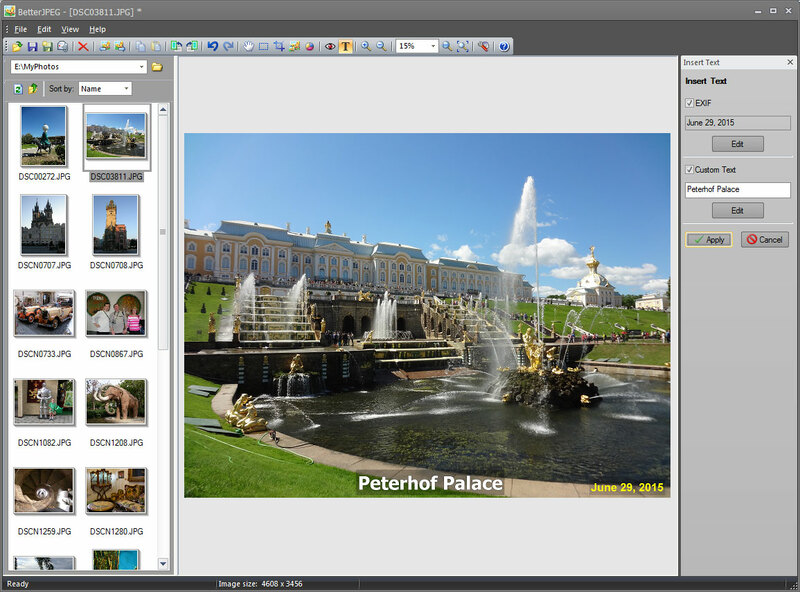 Better JPEG is a batch JPEG photo editor that can do all of this editing without loss of image quality.